Are you ready to Turn A Corner? 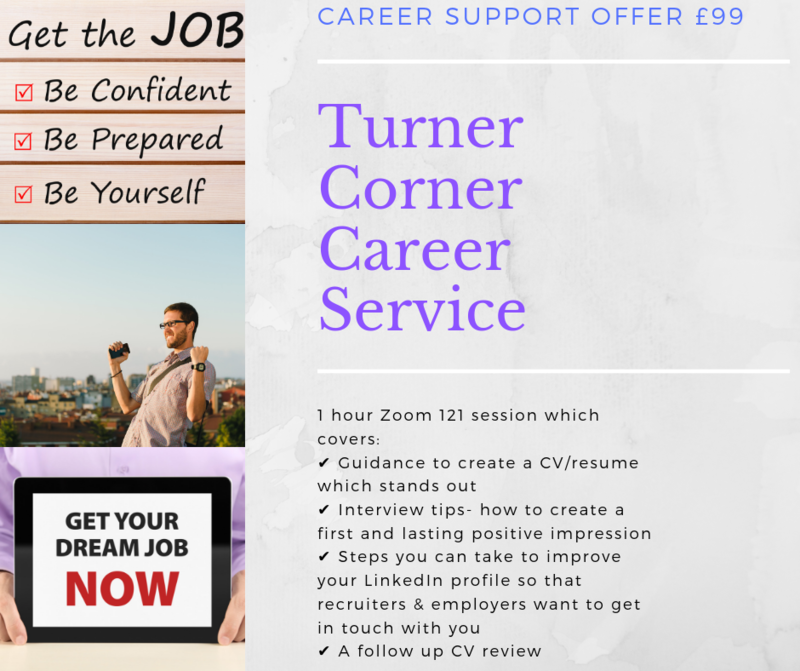 I’m so excited to share the launch of my new Career support service. One of the most rewarding services I have provided over my career has been helping others to secure their ideal job. This support has been needed for a promotion, facing redundancy or individuals wishing to change career direction. Are you seeking a new job but starting to feel disillusioned & just don’t know how to achieve success? Did you know that on average 250 CVs are received for each job position? That 64% of Employers stated they check out LinkedIn profiles as part of the selection process? Are you applying for lots of positions with your CV, but not getting interviews? And what about your LinkedIn profile? Is your LinkedIn profile gathering dust? When was the last time you updated it? Is your Headline & Summary telling employers what value you can add to their business & what successes you have achieved in your career? is your headline saying something like ‘Actively Seeking Employment’, followed by a couple of lines in your summary? How many recommendations do you have? Do you worry about interviews? Do nerves get the better of you? Do you tend to ramble because you’re not sure how to structure your answers? Do you wonder what to say when the interviewer asks if you have any questions? If any of the above describes you, what’s your next step?